MY WEBSITE HAS MOVED! In order to continue seeing updates on this post, PLEASE bookmark the link below or click here to see the updated version! If you want to update your pin on Pinterest with the updated website, please click here and repin my new pin!! THANK YOU! I know I said I’d be traveling, but I just couldn’t wait! 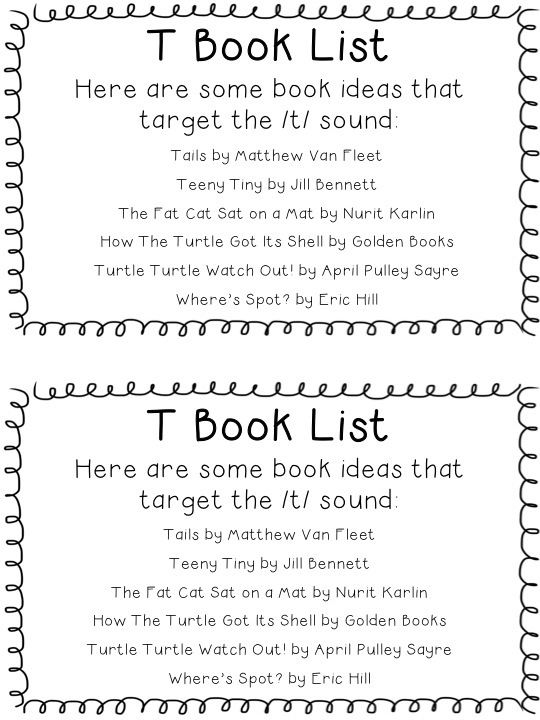 I LOVE looking at children’s books and coming up with creative ways to use them in therapy. Parents have also asked me how they can begin carryover at home for articulation goals. So.. I created half sheet handouts organized by speech sound. These would be perfect to send home with articulation homework! Here is the description from my TPT store. 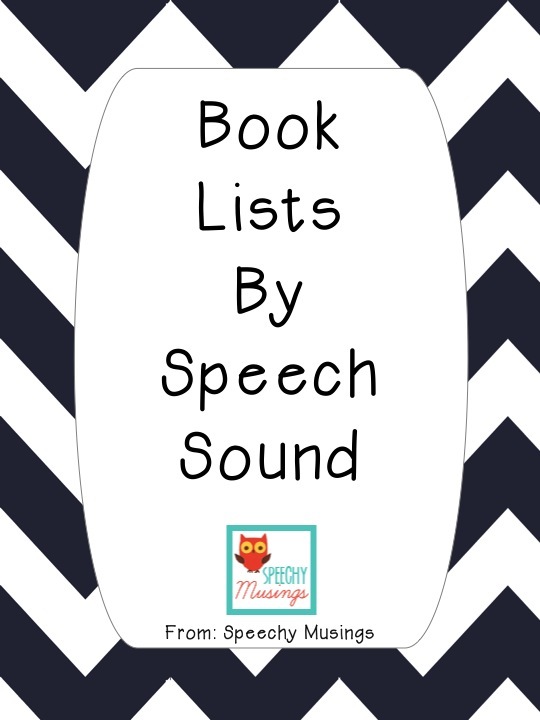 This 22 page file contains printable half sheets that recommend books by speech sound. It contains 6 books each for b, d, f, g, h, k, l, m, n, p, sh, t, th (2), v, w, and dʒ. It’s free and could be used as a reference for teachers, SLPs, reading specialists, or for parents! If you download it, please leave feedback! So there you have it! Go on over to my TPT store and download it! Let me know what you think! If you are interested in staying up to date on freebies, giveaways, and new posts, ‘like’ me on Facebook here. 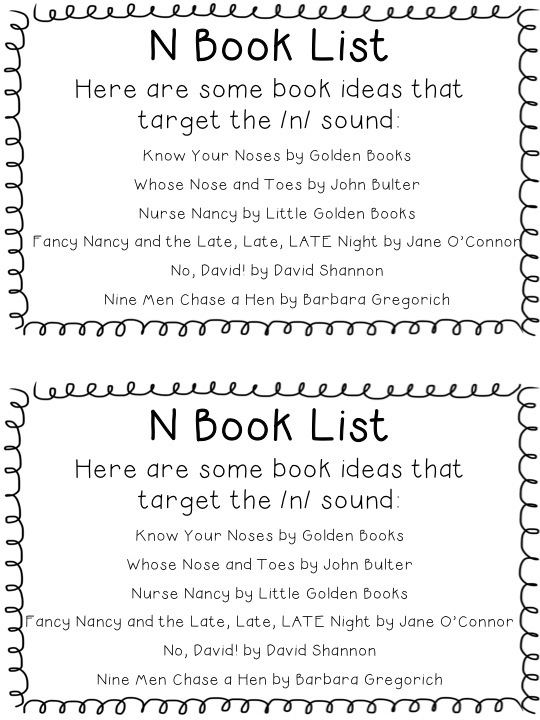 **Edit: I created another book list document for later developing speech sounds including blends and /r/. It is available for FREE in my TPT Store here. This entry was posted in Articulation, Materials and tagged articulation, free materials, TPT store by Shannon. Bookmark the permalink. Do you have anything for the letter r sound? Both of my sons need some practice on this. I’m working on a second packet for the r sound, along with some other more difficult sounds! Hopefully it will be posted later today 🙂 Thank you for your comment and suggestion! !